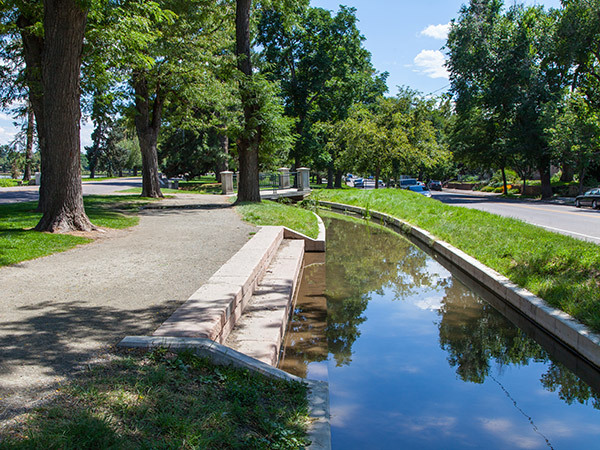 Serving burgeoning Denver’s need for agricultural irrigation, this hand-dug canal constructed between 1865 and 1867 transformed the formerly arid landscape and served as the foundation for the Park and Parkway System. 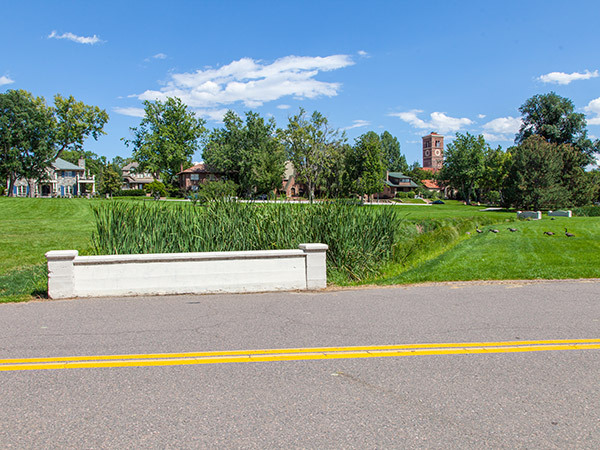 Financed by businessman John Smith’s Capital Hydraulic Company and engineered by Richard Little, “Smith’s Irrigation Ditch,” extended 27 miles from its head-gate in Chatfield above Littleton to Brown’s Bluff (today, Capitol Hill) in Denver. 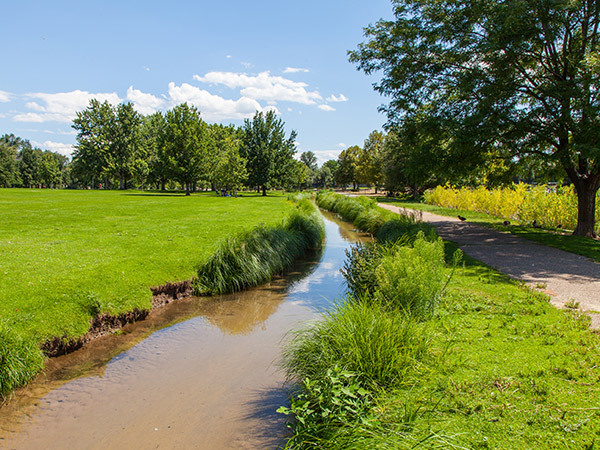 Requiring no pumps and capitalizing on a 100-foot drop in elevation, the Ditch collected and distributed water via more than 1000 lateral ditches. 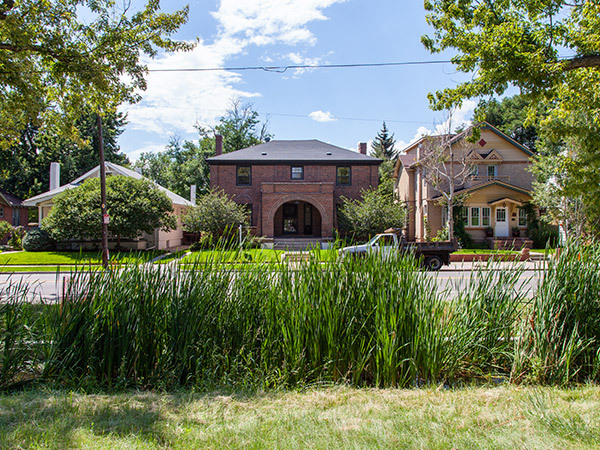 Immediately after the opening of the Ditch, Denver’s streets and parks witnessed a proliferation of trees, shrubs, and lawns. 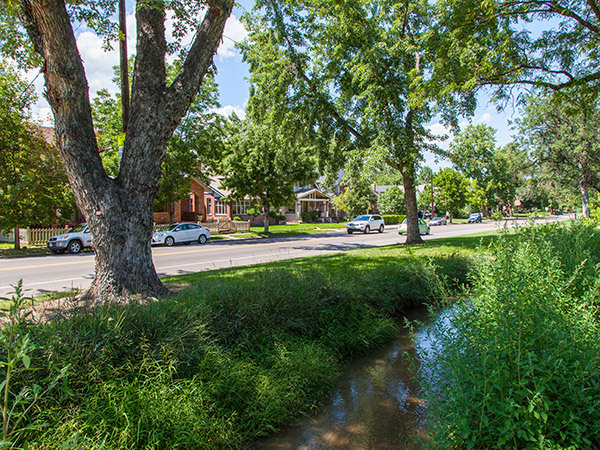 Ten years after the project commenced, the City of Denver purchased the system from Smith and renamed it City Ditch. 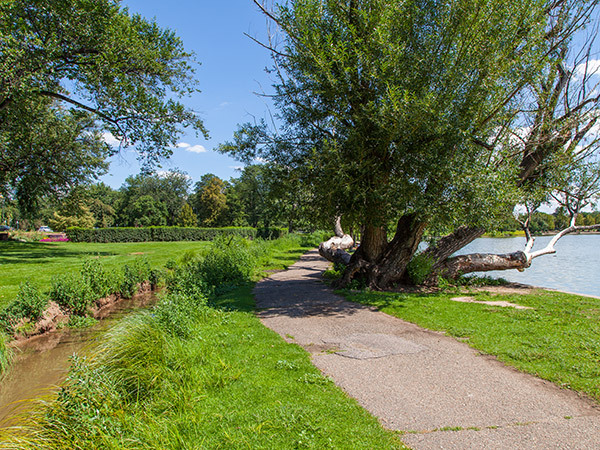 Though the City employed a commissioner to oversee the distribution of water and utilized “water police” to enforce water rights, the management of the lateral ditches proved difficult and they were eventually filled. Lining of the main branch with concrete continued through the 1930s with work conducted by the Works Progress Administration. 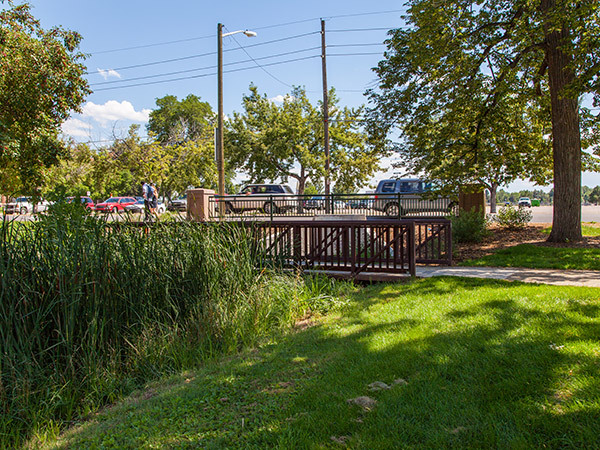 Today, as a mostly underground conveyance system, City Ditch continues to provide irrigation for farms, parks, and lakes. 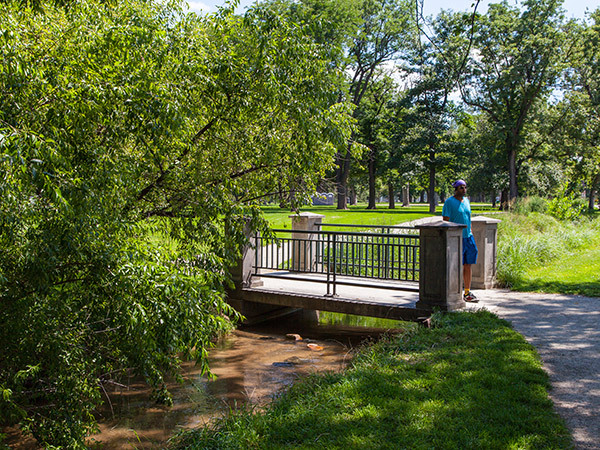 The only remaining open segment is found in Washington Park where, lined with willows and cottonwoods and traversed by bridges designed by Frederick Ameter, the open City Ditch feeds Smith Lake. 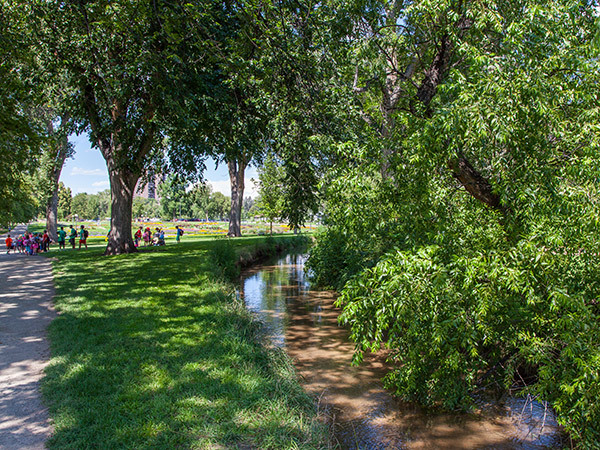 In 1976 City Ditch was listed in the National Register of Historic Places.